The reality is different from that of 2014 when there was bonanza, says the Foundation.The Millennium Foundation warns that 2019 will be a year of uncertainty for the economy and foresees risks due to the slowdown in growth, the fiscal deficit, the deterioration of social indicators, the fall in revenues and the zero investment in exploration. According to an analysis of the situation of the entity, the situation today is very different from what happened in 2014 when there was stability and economic boom. “The image of this year is another very different one. The economy has weakened and decelerated. It grows less and with an increasing fiscal cost; the yields of the expense and the public investment are decreasing”, precise. In addition, he points out that the indicators show important imbalances and warn of potential risks for macroeconomic stability. “Social indicators have also deteriorated, the fall in poverty and inequality have stopped and it is even possible that certain vulnerable strata are once again falling below the poverty line. The feelings of security and optimism are mutating to a greater skepticism about the course of the country,” he adds. As external risks, Milenio observes the volatility of the prices of raw materials, the strengthening of the dollar, the increase in interest rates, the recession in Argentina, the weak growth in Brazil and the devaluations in neighboring countries. As internal risks, it warns of a bottleneck of export earnings due to the abrupt fall in external demand for natural gas combined with lower domestic production and the depletion of hydrocarbon and mineral reserves, in a context of a drought in exploration and investments. and in the development of new projects. 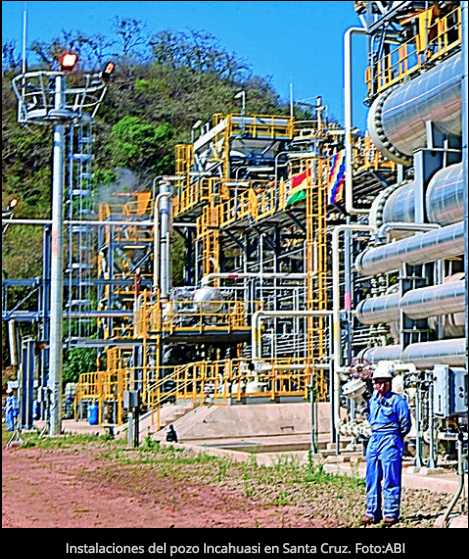 “The problems of fiscal sustainability are added by the high fiscal deficit and the balance of payments, which press for a greater indebtedness and the loss of International Reserves, in addition to the lower competitiveness of our products due to the appreciation of the Bolivian currency” , says Milenio. The Government maintains that this year it enters the platinum season in hydrocarbons after living a golden age. It also highlights that the country’s economic growth is the highest in the region. This entry was posted in Bolivia, Business, Economics, Politics, Social Unrest and tagged corruption in public office, demagogue, government failures, Ochlocracy. Bookmark the permalink.